The Highland Paranormal Group use a wide variety of equipment in their investigations into the paranormal, here is just some of them. An EMF meter (or EMF detector) is a scientific instrument for measuring electromagnetic fields. Most meters measure the electromagnetic radiation flux density (DC fields) or the change in an electromagnetic field over time (AC fields), essentially the same as a radio antenna, but with quite different detection characteristics. There are many different types of EMF meters, but the two largest categories are single axis and tri-axis. Single axis meters are cheaper than a tri-axis meters, but take longer to complete a survey because the meter only measures one dimension of the field. Single axis instruments have to be tilted and turned on all three axes to obtain a full measurement. A tri-axis meter measures all three axes simultaneously, but these models tend to be more expensive. Electromagnetic fields can be generated by AC or DC currents. 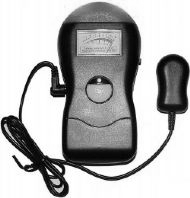 An EMF meter can measure AC electromagnetic fields, which are usually emitted from man-made sources such as electrical wiring, while Gauss meters or magnetometers measure DC fields, which occur naturally in Earth's geomagnetic field and are emitted from other sources where direct current is present. When all scientific possibilities have been discounted and a thourough investigation of the area has been done, you can then draw the conclusion that it is paranormal activity. Electronic voice phenomena (EVP) are electronically generated noises that resemble speech, but are not the result of intentional voice recordings or renderings. Common sources of EVP include static, stray radio transmissions, and background noise. Some have claimed these sounds are of paranormal origin, while there are natural explanations such as apophenia (finding significance in insignificant phenomena), auditory pareidolia (interpreting random sounds as voices in their own language), equipment artefacts. Recordings of EVP are often created from background sound by increasing the gain (i.e. sensitivity) of the recording equipment. 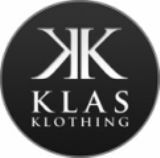 Add your main content here - text, photos, videos, addons, whatever you want! 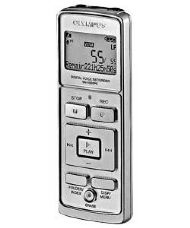 Highland Paranormal Group currently use Olympus VN-5500PC Digital Voice Recorder and WavePad Audio Editing Software for capturing and recording EVP's. An electronic motion detector contains a motion sensor that transforms the detection of motion into an electric signal. This can be achieved by measuring optical or acoustical changes in the field of view. Most motion detectors can detect up to 15–25 meters (50–80 feet). 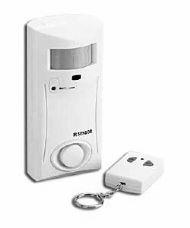 A motion detector which normally maybe used as a burglar alarm that is used to alert the home owner or security service after it detects motion. Such a detector may also trigger a red light camera or outdoor lighting can also be used to detect paranormal activity. These Motion detectors can also be used to trigger camcorders to record the disturbances. An occupancy sensor is a motion detector that is integrated with a timing device. Which triggers lights and is primarily used to unilluminate unused areas for energy saving purposes. This whole system can be very useful in the detection of paranormal activity. Some detectors can triggered by using mircowave energy, heat source, optical sensory or accoustics. Each are a very good tool in investigating. Primarily this tool os used to alert the investigator to an area which has paranormal activity. A great experiment is to lock off and area and hook a motion detector to doorways, hallways or specific trigger objects. Electromagnetic fields, or EMFs, are emitted by electrical devices of all types. EMFs are everywhere, originating from appliances, cell phones, electrical wiring, and even the human body. EMF fluctuations have been associated with locations where unexplained phenomena have been reported, including alleged hauntings. The K2 meter has uses as both a debunking tool, as well as a "Ghost Communication Tool". As a debunking tool, the K2 serves to show high EMFs generated by naturally occurring sources, such as power grids, or man-made electronics. These high emfs can effect humans by causing paranoia and hallucinations, explaining any potential hauntings. The meter has also found use as communication tool, where when questions are asked the meter will blip up, showing a potential response to the question. Used with control questions, to rule out rogue natural EMFs as the cause of those blips, this can be a great tool. Instantaneous response to EMF fluctuations & spikes. The P-SB7 is a mini size Spirit Box the size of an MP3 player. The P-SB7 made its premier debut on Ghost Adventures "LIVE" show from the Trans-Allegheny Lunatic Asylum on October 30, 2009. The P-SB7 provided responses to his questions in real time over a 40 minute segment of the show. When used by a properly trained individual, under certain circumstances, the P-SB7 will provide results similar that of an EVP recorder, but in real time. 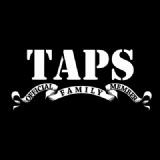 Since then, it has become very popular and can be seen frequently on Ghost Adventures and Psychic Kids. The P-SB7 utilizes a milli-second adjustable Forward or Reverse frequency "sweep" technique coupled with a proprietary high frequency synthetic noise or "white noise" distributed between frequency steps. 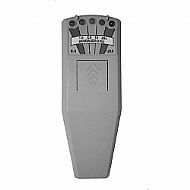 The model offers an enhanced FM frequency sweep which includes an additional 119 new frequencies from 76MHz to 87.9MHz. No other Hack Box or Modified radio currently offers this. A seven step adjustable sweep rate provides user flexibility based on individual technique and session circumstances. There are two discreet audio outputs; (1) 15mW Earphone, and (1) 250mW Speaker. A bright EL back light display with manual ON/OFF select is ideal for viewing in the dark. The P-SB7 uses three "AAA" batteries. 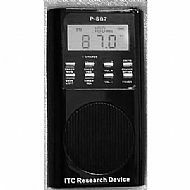 The P-SB7 is intended to be used by professional investigators to help promote the field of Paranormal ITC Research.